Motorised blinds and curtains have been around for many years, providing easy access to control blinds and curtain rails. Control of these motorised devices was usually with the use of a radio remote control, which made such devices particularly of interest for people with mobility issues. 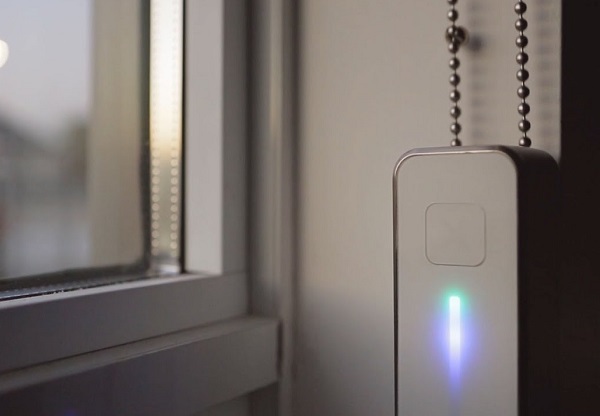 Internet of Things (IoT) has now extended its internet connectivity to these everyday objects. Embedded with technology, these devices can communicate and interact over the internet, and they can be remotely monitored and controlled. An example of this is Somfy motorization systems. These systems consist of a range of motorised blinds, curtains and roller shutters. The Somfy myLink™ is a device that turns your smartphone or tablet into a remote control for motorized products featuring Somfy Radio Technology. For voice control, Alexa now works with myLink! Purchasing new blinds or curtains rails could work out to be quite expensive, and possible wasteful if you already have good blinds in place, however, there are a number of options available to retrofit existing blinds to also consider. They are able to transform your standard home blinds into smart electric blinds and do so at an affordable price. Like the Somfy blinds, they also provide a way to raise, lower and choose an intermediate position of the blind. The Brunt Blind Engine can motorize your existing blinds and connect to your smartphone, allowing remote control and scheduling of your blinds anywhere, anytime. allowing blinds of all different shapes and sizes to be successfully fitted. You can use the Brunt Blind Engine with various voice recognition speakers. AXIS Gear is an affordable and easy way to motorize your window shades. Gear is a smart device that lets you easily control and schedule when your shades open and close. Axis say the install and setup of Gear takes minutes and guarantees to fit your shades or your money back. Included are a solar panel and backup AA batteries. 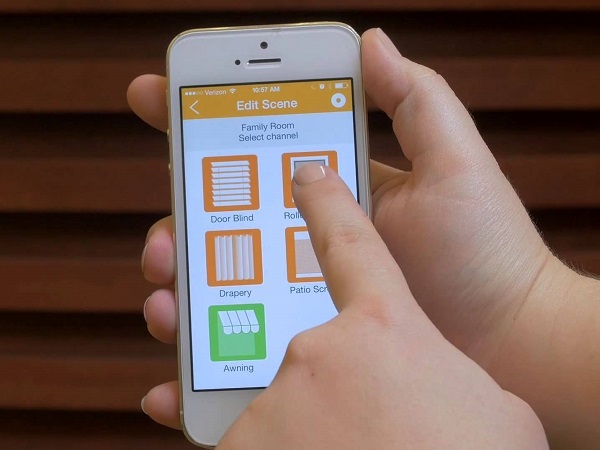 The App allows the creation of schedules and smart home integration. 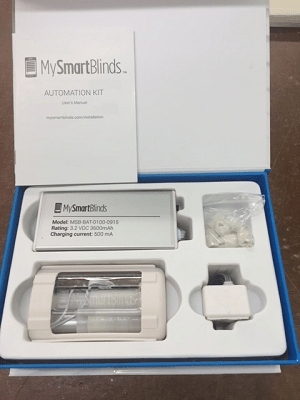 The MySmartBlinds Automation Kit controls only the tilting of your horizontal blinds on a schedule and on demand from your smartphone. Solar panel/charging cable optional extra. 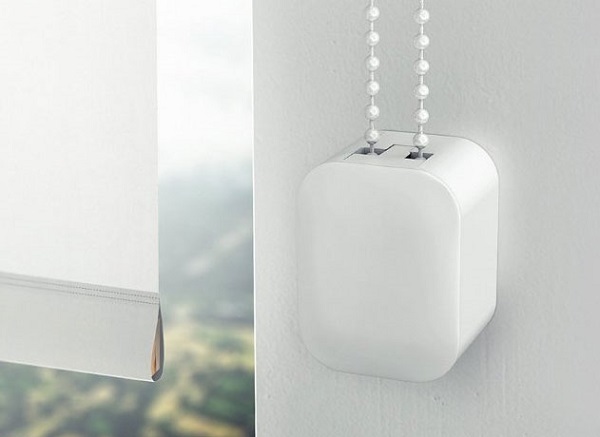 The SOMA Smart Shades is designed to fit your existing shades and curtains with a continuous-cord. Continuous-cord shades have one looped string or beaded chain that allows you to raise and lower the bottom of the shades. Attach the device to your shades or blinds with a beaded chain or string, download the mobile app, follow the instructions and you’re ready to go. Automated schedules can be created and it is possible to control multiple windows from one mobile app. It is Android & iOS supported. Smart Shades are solar powered with a built-in lithium battery. 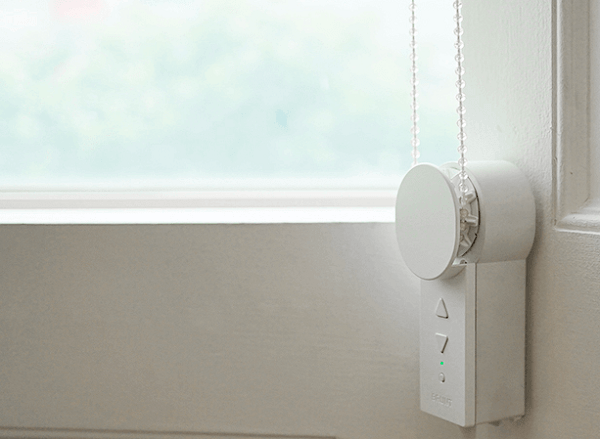 By installing the SOMA Connect, you can control your shades with your voice, as it works with Amazon Alexa and Apple HomeKit.